Hey guys! Welcome to my blog! 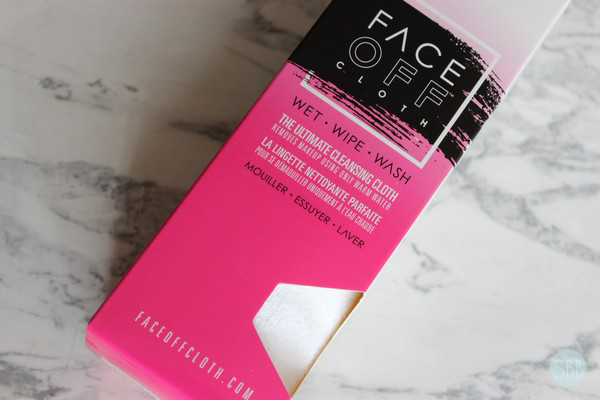 Today I have an exciting review on the Face Off Cloth. I was lucky to be sent one of these to try and I just got mine today so I wanted to share with you guys my first impressions of this cloth. 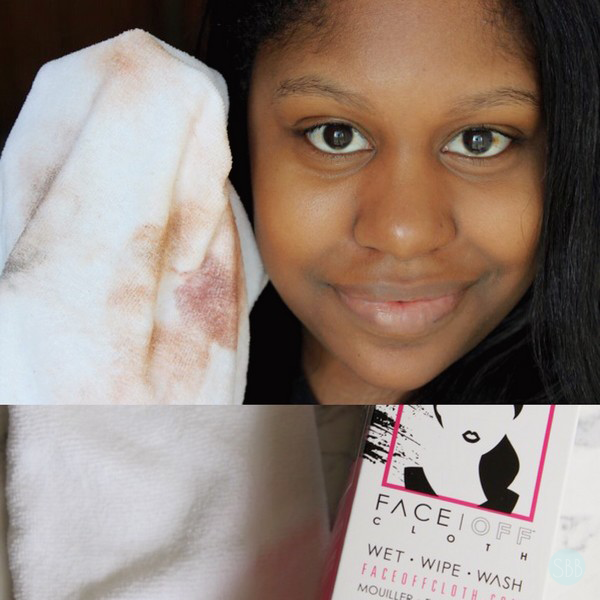 The Face Off Cloth is a natural makeup remover that doesn't contain any harsh chemicals. This is a reusable cloth, that is suitable for all skin types and leaves your face feeling refreshed. From personal experience I had tried one other brand that makes a cloth like this and didn't have much luck. When I got this and tried it I was hoping that this wouldn't be the same result as that other brand. I was happy to find that this was 10x better for me. 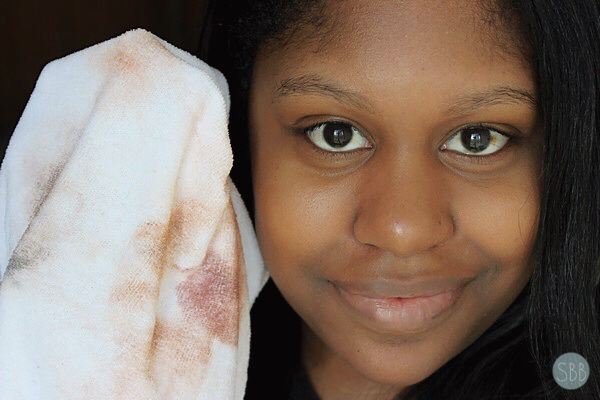 It removed my makeup with ease. I was wearing liquid lipstick, a brown natural smokey eye with concealer, blush and bronzer on my face. I didn't have to rub hard at my skin which is great because I really like to be gentle with my eye area. I only wish that this was a little bit more smooth and softer feeling on my skin but this isn't a big deal. Clean up of the cloth was super easy as well. I use warm water and my body wash to wash the cloth. I was surprised at how easy the makeup came off! Overall I would give this a A+ rating. Head over to Face Off's Facebook page to learn how to enter their giveaway that they are having. You could win $500 dollars for a shopping spree to Hudson Bay! Wow your results are amazing, such a great idea and so simple to use! I'm an avid lover of Liz Earle Cleanse & Polish but I'd love to give this a go, perfect for travelling. Sounds pretty amazing. Everything I've used so far was great, but the cleaning up the cloth was always like a pain in tha a**, haha. Woahh the result look awesome! It looks like it really did a goo job removing all the makeup.